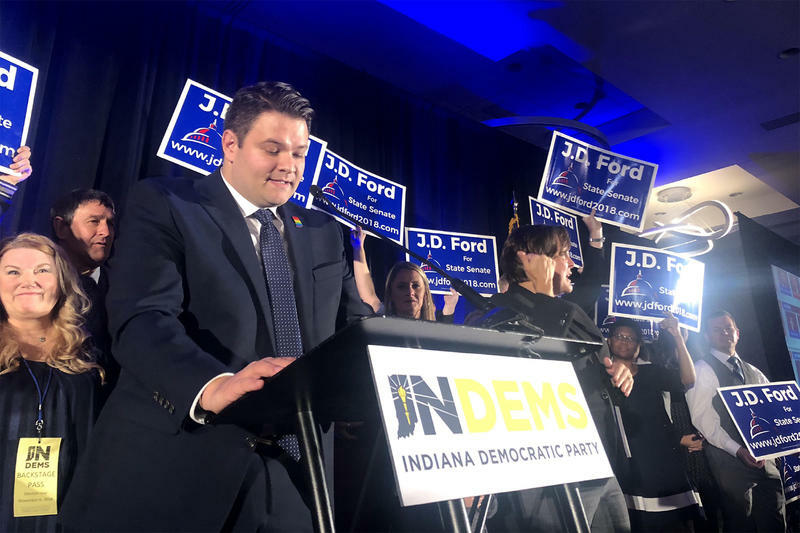 Indiana’s 29th District was one of the few Indiana districts that turned blue. Republican state Sen. Mike Delph was defeated by Democratic challenger J.D. Ford. This was a rematch race for the two candidates, but this year, Ford came out on top. After 13 years in office Delph was considered vulnerable because his politically-diverse district voted for presidential candidate Hillary Clinton in 2016. Both candidates campaigned aggressively, and Ford credits the personal connection he made with voters for his win. Ford and Delph take very different stances on social issues. Delph is a known conservative on things like marriage, religion, immigration and abortion. Ford campaigned on increasing the minimum wage and passing a hate crime law. Indiana is only one of five states without a state hate crime law. Ford is now the first openly gay state senator-elect in Indiana.